ZIIP Beauty Nano Device: Is It For You? I am a certified skincare junkie. I have suffered from chronic acne since I was 13, which immediately sends you on a quest for relief. After trying every acne and skincare product Walgreens had to offer, I graduated to the good stuff. 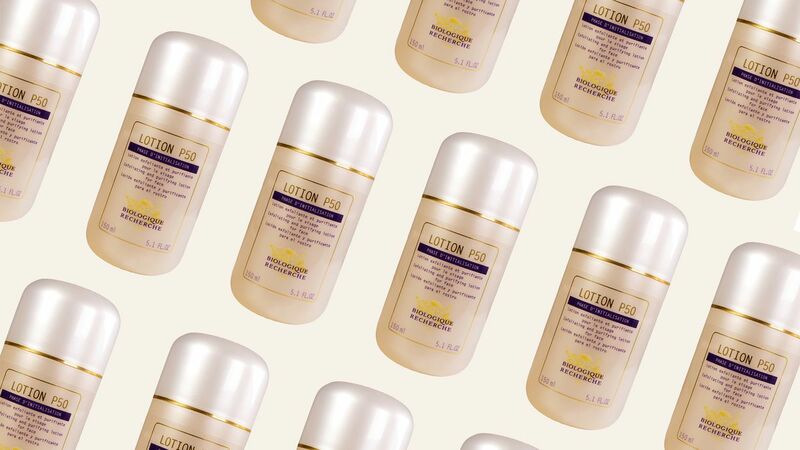 I tried Biologique Recherche’s famed P50 Lotion after reading about it on Into the Gloss. It improved my skin texture by reducing the number of pimples I got. But I still had skin that was extremely oily in the day and dry in the night. I started experimenting with Korean Skincare after going down a YouTube hole of videos from K-Beauty maven, Gothamista. The combination of both a K-Beauty cleanser, essence and serums, along with the P50 has really regulated my skin on a more long-term basis. I still get hormonal acne but much less than before and less acne during the rest of the month. Now at 30, going on 31, my major skin concerns are hyperpigmentation. As with many dark skin women, I have acne scars that take a long time to fade away. I’ve tried creams with hydroquinone to good results, but you can only use it for 3 months in a row before it starts to darken your skin. So that was a bust. I’ve used Vitamin C and still do for all it’s antioxidant properties. It has worked to give my skin better overall clarity but does not fade the scars at a rate that I would like. In comes the ZIIP. The ZIIP is a nano current device designed by celebrity electrical aesthetician Melanie Simon, that sends waves of electrical currents into your skin to address different skin needs. The device is a small and handheld, looks like a computer mouse and has two positive and negative charged discs on the bottom. It syncs up to an app which offers seven different “electrical cocktail” treatments. It comes with a gel that you put all over your face and allows the currents to be delivered to your skin. My favorite programs are Total Clearing for acne, Pigment Treatment for hyperpigmentation and Instant Gratification for exactly what it says, instantly plumped and brightened skin. At $499, the ZIIP is not cheap. But does it work? I should start by saying I think it takes 60 to 90 days to see lasting results from any product. That being said, first impressions can be powerful and if you see something at the start, it will likely get better with time. The first night I tried this, I slathered the gel on my face, opened the app and synced the device to the Total Clearing Program. Each program comes with a step-by-step video that is easy to follow along. Initially I felt nothing, but then felt a sting. Melanie Simon says the sting is the electricity killing the bacteria. When there is no bacteria left, you feel nothing. The sting feels satisfying, in the way that extracting a pimple does. I went IN and did a Pigment program and the Instant Gratification. When I was done, my skin was super soft – baby soft – softer than it had been in a while. It was glorious. After only 7 days, I can say this: I still have the same hyperpigmentation and I just got 2 huge pimples ( period is on it’s way). This was to be expected as it takes 30 days for my skin to turn over and longer for the spots to fade. However, in terms of instant gratification, the texture of my skin has improved, it looks brighter and my makeup goes on smoother and looks better longer. So do I recommend it? Yes, but with an asterisk. Taking time out of your day to care for yourself is important. If you can do so with a state of the art device that gives you professional results over time, even better. If this is not within your budget, get yourself on a good skincare regimen in line with what you can afford. Skincare is not about getting every new product or treatment. It’s about using the right products for your skin type with diligent and consistent use. No one serum or device can give you great skin. It takes a good diet, good skincare and above all, sleep to truly get that glow. Now that that’s out of the way, let’s look at what the world of media is offering us to digest this weekend! From Batman think pieces to divas talking about divas to Denzel, the world is aflame with just the right amount of weird to give you hope for next week. Join me in the rabbit hole! This week’s music recommendation is a little different. Rather than one artist, song or album, I suggest a the Cliporama channel on YouTube. There you can relive some of the greatest feuds in divadom. Whitney vs. Mariah, everyone vs. Madonna – it’s the best kind of cringe! Rich Juzwiak of Gizmodo Media explored the feuds featured on the site, which you can see here. May the drama of extremely wealthy people sustain us all. This is my personal favorite, because Cyndi confronts the sexism that pitted all these women against each other in the first place. Den- to-the-zel! He’s back in his very fist sequel (since they’re always killing him off) to defend the streets against injustice and bad Russian accents. As for triggers or triggering moments, this film is going to be heavy on violence, with murder, fight scenes and other tense situations. I don’t suggest seeing this movie if you are currently struggling emotionally, as it could be a push in the wrong direction. However, if you’re doing ok, feel strong and know your limitations, this could be a nice diversion. This week -just in time for Comic-Con – is the 10th anniversary of the The Dark Knight, so my feed was bombarded with images of my favorite brooding superhero, along with the best version of the Joker to ever grace the page or screen. Christopher Nolan’s version of Batman wasn’t just good, it was groundbreaking. The world felt real like never before, the characters were finally believable, and the villain outshone the hero in a way that elevated the genre to new heights. Below you can click through my favorite assessments of the film and why it still matters to us 10 years on. Have a great weekend and stay safe out there! The time for nerds to reign supreme has come! Out of the shadows and into the streets, like the plague we are, the smell of sweet fandom is everywhere now that it’s Sandiego Comic Con season. I went to my first San Diego Comic-Con in 2013 and the experience was mind-blowing. My brother and I weaved through the crowds, swooping up free stuff like kids or feral wolves. We took part in a Viking competition – and almost won! – and tried a zip line. I have yet to go so wild in public since. In the mix of all the joy that comes with letting your geek flag fly while surrounded by happy people in Deadpool onesies, it is so imperative to learn ways to navigate safely. Today we’re going to break down what you should be doing while you let loose at the Con, or any event that draws a large, jubilant crowd. Whether it be a huge fan event like Comic-Con, a concert, or a carnival, these tips are sure to keep you safe and happy. Planning for outings of this magnitude can do a number on those of us with anxiety, so continue reading to find out how to prepare yourself for the event! This means sleep, food, a safe shelter, AND watching out for yourself while you’re out and about. You don’t have to carry a weapon or start training in jiu jitsu, just make time to figure out a shuttle service, exits, and when things end. A common misconception out there is all nerds are nice. If you’ve spent any time in the comment sections of i09, CBR or Youtube, you’ll know this to be false. Bad people exist everywhere, just like good people, so please take care of yourself. Taking time to eat and stop to rest will keep you from crashing like a ton of bricks before you’re ready to stop and will keep you alert enough to monitor your surroundings. I debated putting this point first, because it has such a huge affect on your experience and how you approach it. I do not advocate for going to events of this magnitude alone, as it is so easy to get overwhelmed in the crowd. Plus, who is going to take pictures of you with celebrities or cosplayers? More importantly, who is going to have your back? We’ve all got friends we love to be around, who make us laugh or think deeply, however a person you trust is much more important. Go with someone you mesh with, who cares for you enough to say no to a party with strangers covered in red flags, or who knows when to say yes to one more lap around the booths. Liking someone and trusting someone are two different things, so be sure to weigh your options. You don’t have to be fans of all the same things – in fact, I’ve found it’s better when you’re not. Rome wasn’t built in a day and fandom won’t be fed in an hour! When I say this place is big, I mean HUGE. There are events outside, events inside, games, food, booths, panels, everything! It’s truly a wonderland. That might sound daunting, but if you go into it knowing you’re going to have your hands full you can begin to plan. Sit down with your buddy or buddies before you head out for the day to figure out how many hours you want to stay and what you would like to see knowing that it is ok for those plans to change. There’s no doubt you’ll want to do other things once you’re there, which is why it’s important to set aside time for your group to explore. You’ve got to be flexible if you want to enjoy the experience. The website – like most events of this magnitude – provides a scheduling breakdown to help folks navigate safely, which you can view here. That’s it for now, kids! Just remember to be patient with yourself, take your time, and don’t get wrapped up in looking cool. No one looks cool at these, which is part of the magic. Let us know in the comments if you’ve ever gone to a con in another city or if you’re in San Diego now! This might sound masochistic, but I enjoy getting waxed. Upper lip, underarms, legs – I’m here for it all, because I like the way my skin feels after. Now, we could dive into a discussion about body hair and sexist perceptions of femininity, but today we’ll stick to the fact that I like myself more without a ton of hair. I don’t do it for anyone but myself, which feels great. What doesn’t feel great, however, is the side effect of hair removal. Thankfully, I’ve got a pretty sweet remedy. I turned to waxing in college after years of shaving and tearing up my skin. I would get ingrown hairs and inflamed bumps that left my skin horribly scarred. Waxing did less damage, but I still encountered the ingrown hairs and tender spots after the monthly sessions. About three years ago my aesthetician – a position that requires almost the same level of confidence as a therapist – recommended I use finipil to combat the discomfort and heal my skin. My first instinct was to say no, but I trusted her judgement as the person with the most intimate knowledge of my various nooks, and bought it. Finipil is an antiseptic cream sold by by Nufree Nudesse that treats ingrown hairs, infection, or any other damage your follicles might encounter from waxing or shaving. It essentially keeps the skin free of the dirt and bacteria that clog or damage the skin. They recommend daily use of the product, but I’ve found if I use it for 3-4 days after shaving or waxing I have fewer issues with my skin. As soon as I return home from the salon I gently cleanse my body, pat dry, then rub a dollop of the product where it’s needed. The formula creates a cooling sensation that brings down any discomfort I felt from the hair removal process. I still get ingrown hairs here and there naturally, but I no longer get them to the crazy extent I did. What’s really made me into a believer is how smooth my skin has become overall. Gone are the huge bumpy patches and discoloration. So, dear reader, if you have skin that goes buckwild after a wax or shaving like mine does this might be the product for you! A little goes a long way, so you won’t be cycling through bottles at break-neck speed (unless you’re slathering your whole body with it). I use it after ever wax or shave, my husband uses it after shaving his face and head, I also dab it on zits, and we still manage to make it last 6 months or more. You will get your money’s worth. Thank you as always, and take care! This week’s media prep is all about the beauty and power of the human spirit. Whether it be saving your soccer team, making music meant to encourage social change, or merely wrestling with concepts through art, we are a sight to behold. Let’s jump right in with this week’s good stuff! Mavis Staples. If you need more than that, you’re on your own. Google her! In all honesty, I don’t even really like soccer. My husband used to play, so my propensity for making fun of all the flopping was an early point of contention in our relationship. Sure, I played for a few years as well, but every single person who has ever sported was thrown onto a soccer field by their parents as a five-year-old to learn how to follow a ball around. However, it is my rule that if there are black folks doing something, I’m going to cheer. Whether it be tennis or a spelling bee, I’m here for the melanin. Now that France (a team that’s black as hell) is heading to the final against Croatia (a team that is the complete opposite of black as hell) you might as well just call me a fan until Monday. Don’t hate. You can catch the battle for the gold? Gilded boot? Trophy! on Sunday. Belgium and England will be playing for 3rd place on Saturday. My stance on cheering for black people regardless of the event is the exact same for The Rock. Along with my brother and father, I used to watch with the elation of someone who just discovered processed sugar as Dwayne Johnson tore up the wrestling ring. I’ve seen all of his movies (even Baywatch), because he represents such a carefree time in my life, when pain would stop and I could laugh with my family like a normal kid. What I love about his movies – that seem to come out every 3 months – is how lighthearted I leave feeling. It might be a guilty pleasure to some, but not for this girl. In his newest film he plays the a guy saving the day like always, so why not? I borrowed my mother’s copy of Gilead by Marilynne Robinson a few years ago, when I was looking for a change of pace from mystery novels, comics and Marvel movies. I picked up the book expecting to a gentle mental push, but got more than I bargained for in this exploration of humanity, love, loyalty, and religion in the Iowa town that bears the book’s name. After reading Robinson’s take on the concept of Gilead, I picked up The Handmaid’s Tale by Margaret Atwood for a book club. Only two of us could finish it, and I’m so glad I did. Sometimes being shaken to the core is what the doctor ordered. I love how Alissa Wilkinson explores the nature of paradise through these two works. Our “promised land” , whatever you choose it to be, is more than a place. A promise and a curse, an end to pain or the discovery of frightful new depths; perspective is everything in this world, no less so than in the arts we love. Self-care is very often a means of survival, as we have seen in the harrowing story of the young Thai boys trapped in a cave with their soccer coach for two weeks. Their coach , Ekapol Chanthawong, lived and trained in a monastery for ten years, beginning at the age of 12, when he was left orphaned. He learned to meditate as part of that training, and taught the young boys to as well, to keep them calm during the ordeal. There are so many messages to take away from this moment in history, from altruism to the wonder of modern technology, however what will stay with me is the knowledge that the human spirit is durable beyond measure. I highly recommend this article by Eliza Barclay if you want to feel better about the world, learn more about the remarkable young man who kept his team alive, or need a reminder of your own potential for survival. That’s all for this week! Enjoy your weekend (and life) the best way you can!